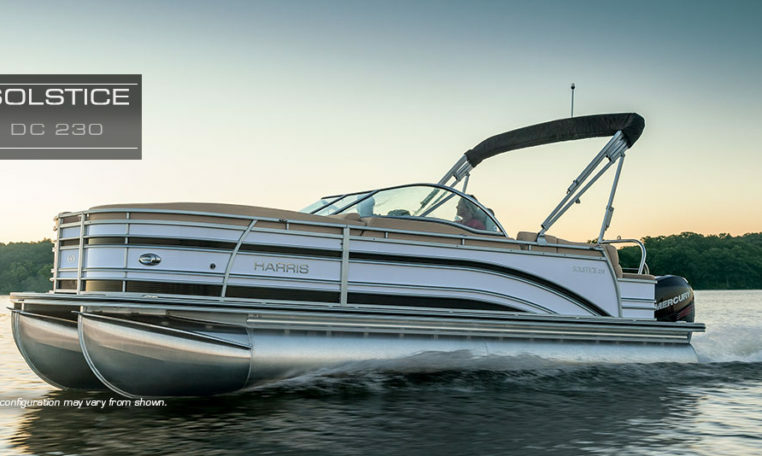 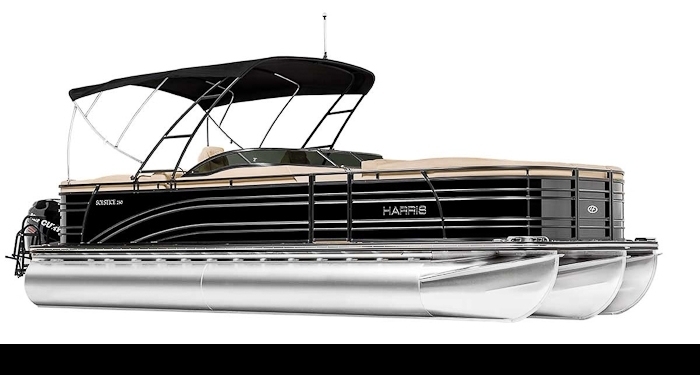 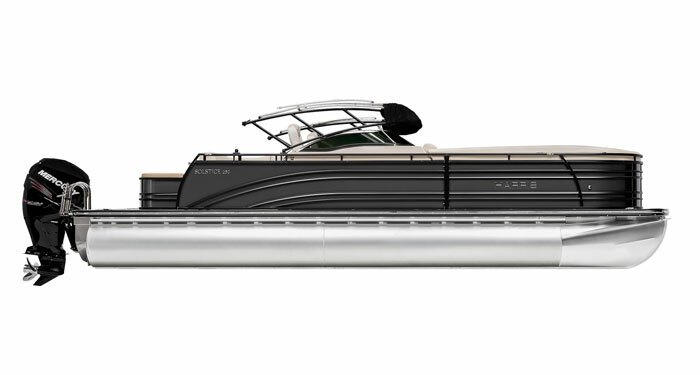 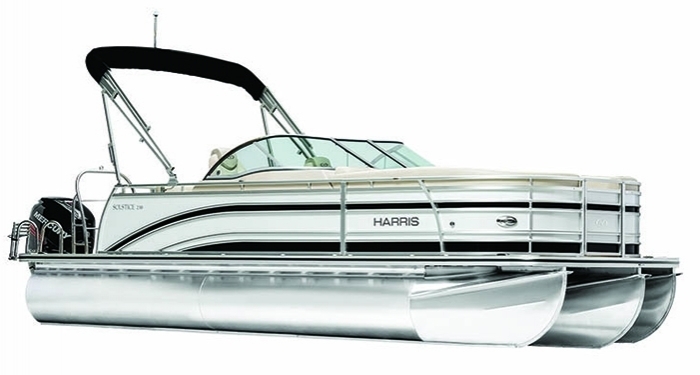 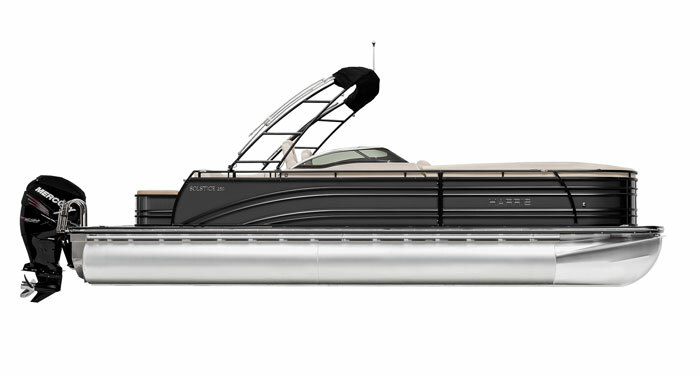 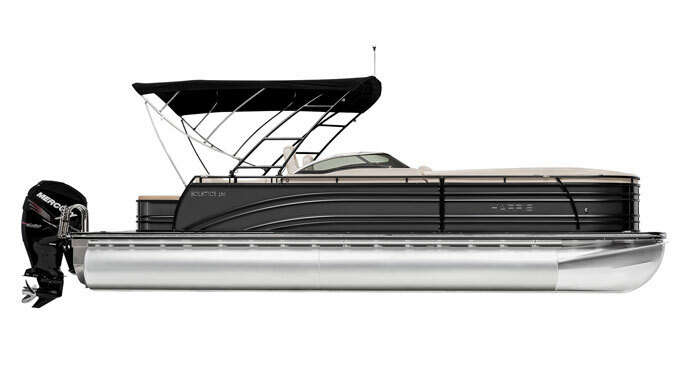 The Solstice DC 230 draws upon sport-boat influences; a fusion between pontoon boat comfort and sport boat styling. 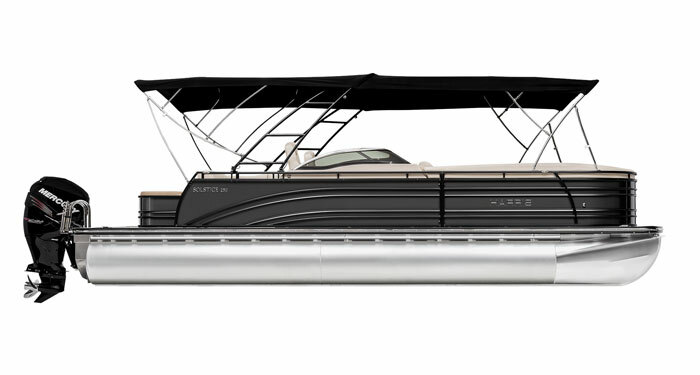 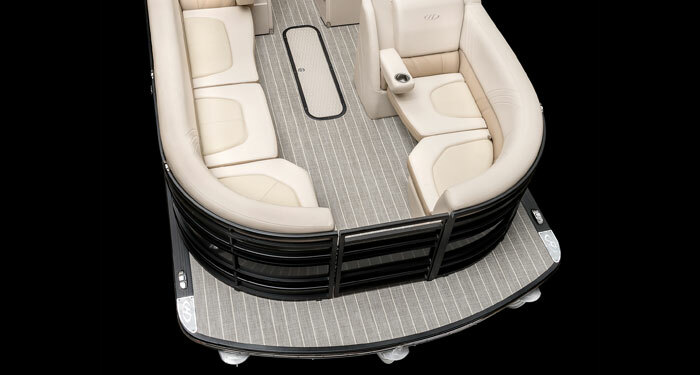 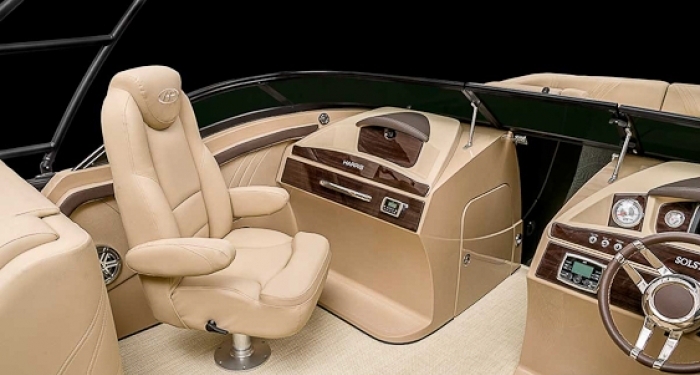 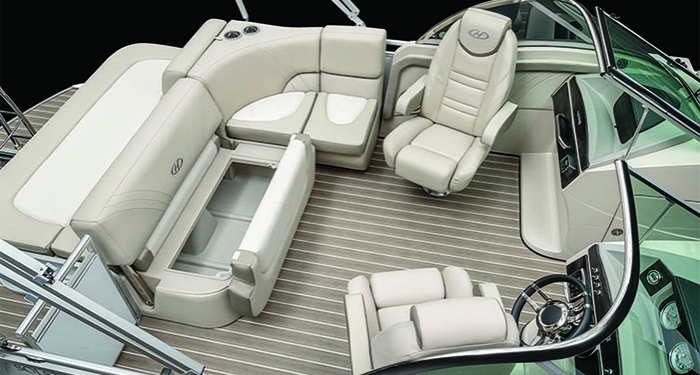 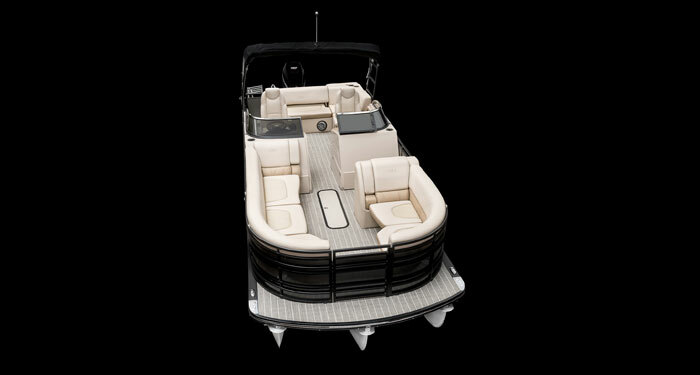 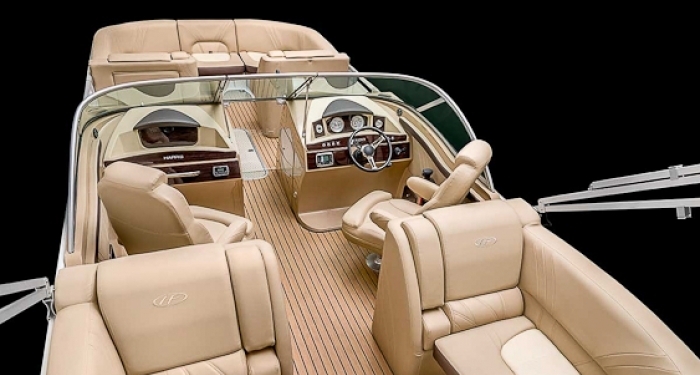 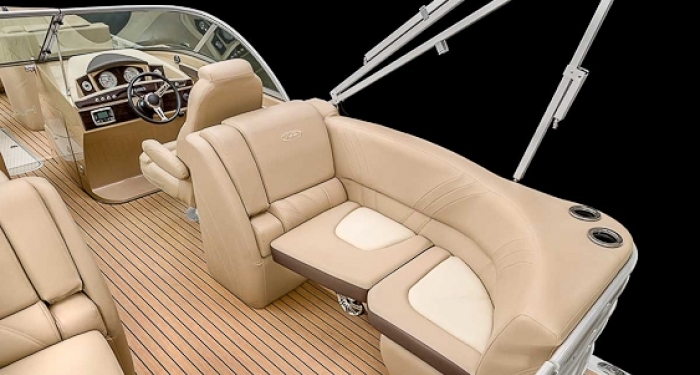 Featuring the highly responsive and efficient Performance Package Plus or the PIII Performance Package and combined with a modern sport-boat inspired dual-console configuration, the Solstice DC 230 provides the sporty and familiar feel of a fibreglass boat with the stability and maximised usable space that comes with the pontoon boat design. 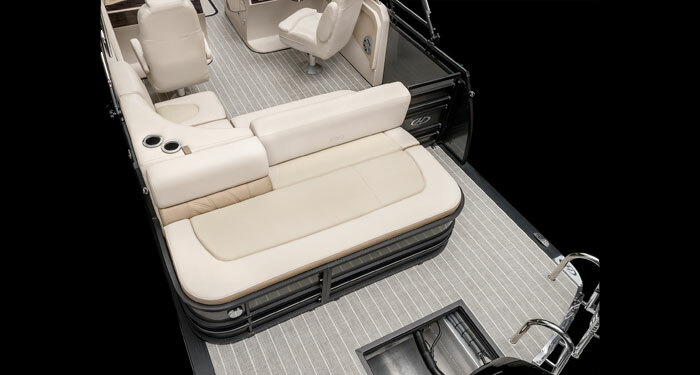 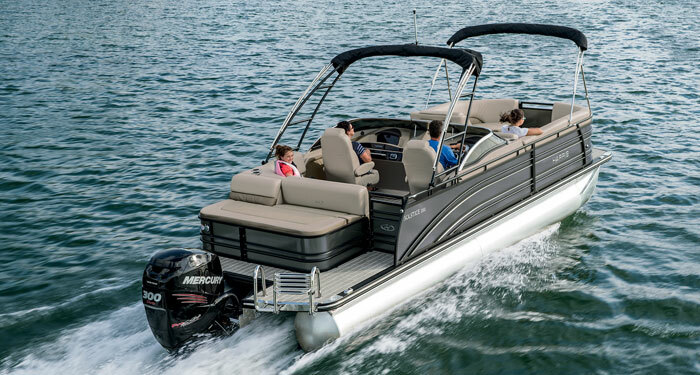 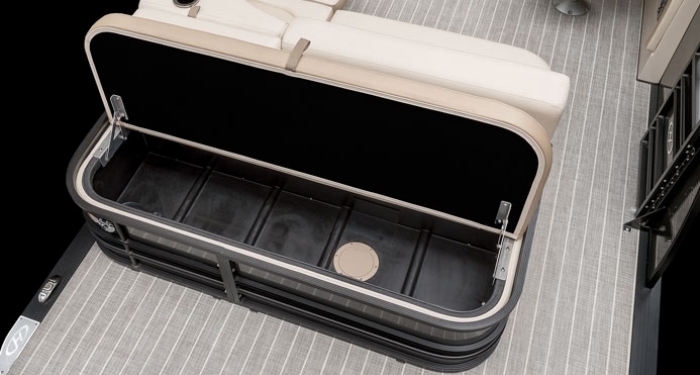 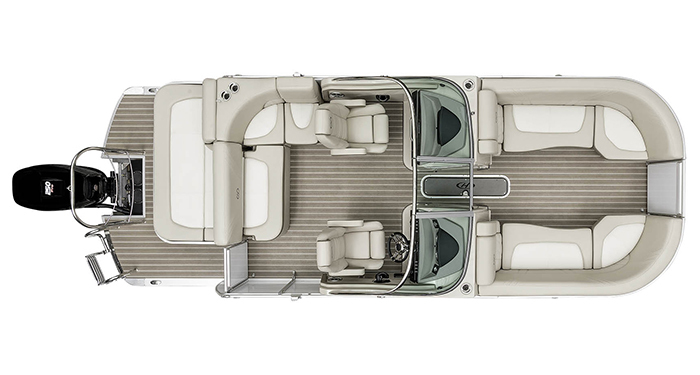 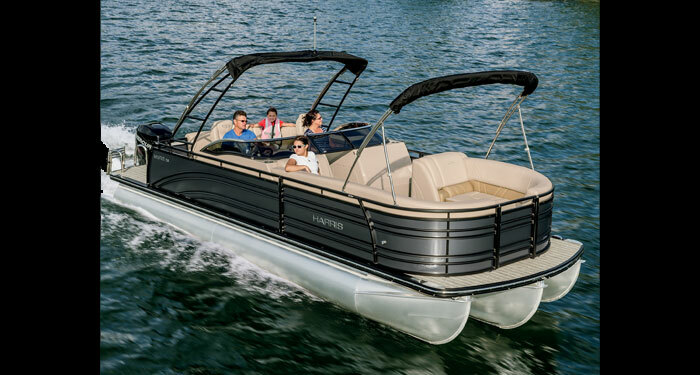 When equipped with the Tinted Low Profile Sport Windshield, Six Speaker JL® Audio Sound System with Amp and Subwoofer, and the 11.5-foot Sport Bimini top, you’ll have the sharpest-looking pontoon on the water. 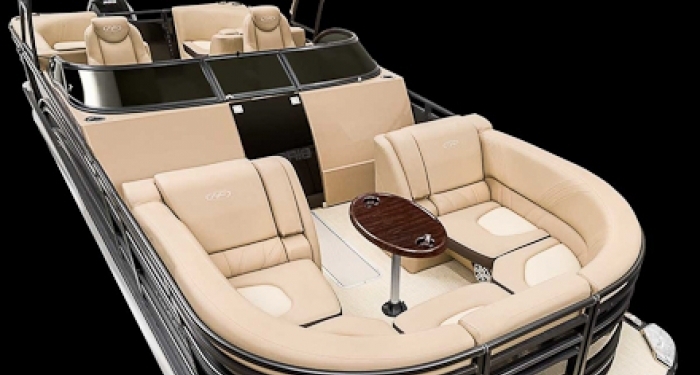 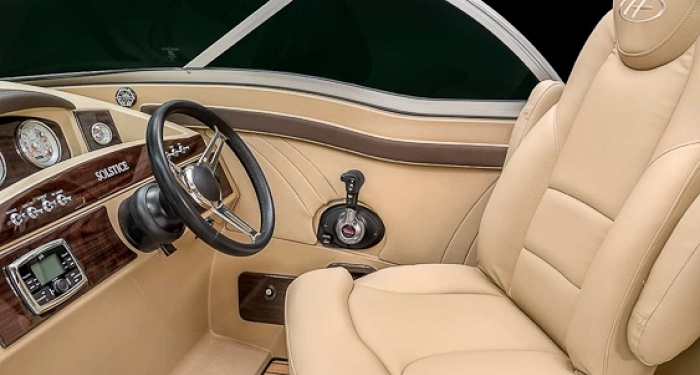 Add the Lighting Package, which includes lighted cup holders, rope lighting around the seat bases, underwater LED lights, ladder LED lights, and LED under deck lighting for a dazzling display that will light up the night. 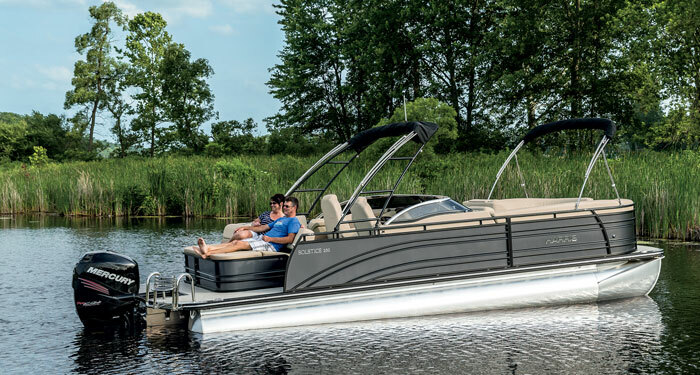 With three popular floor plan styles to choose from, your boat will be the life of the party.